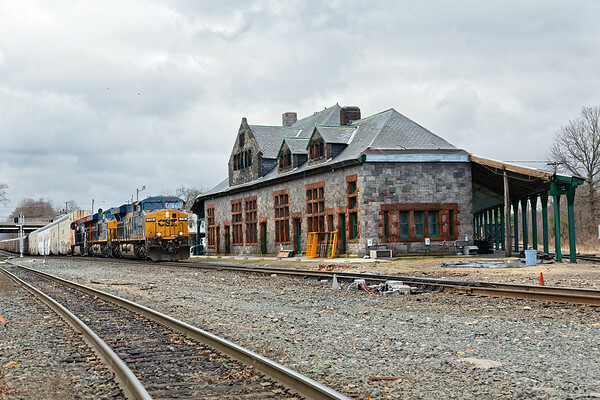 A long Q263 approaches the historic Palmer MA depot. With the trend towards longer auto trains with DPUs stuck in the middle, the westbound empties are longer as well. On 4/10, Q263 was over 10,000 feet long with two CSX units and a CN on the point and a CSX DPU about halfway back.